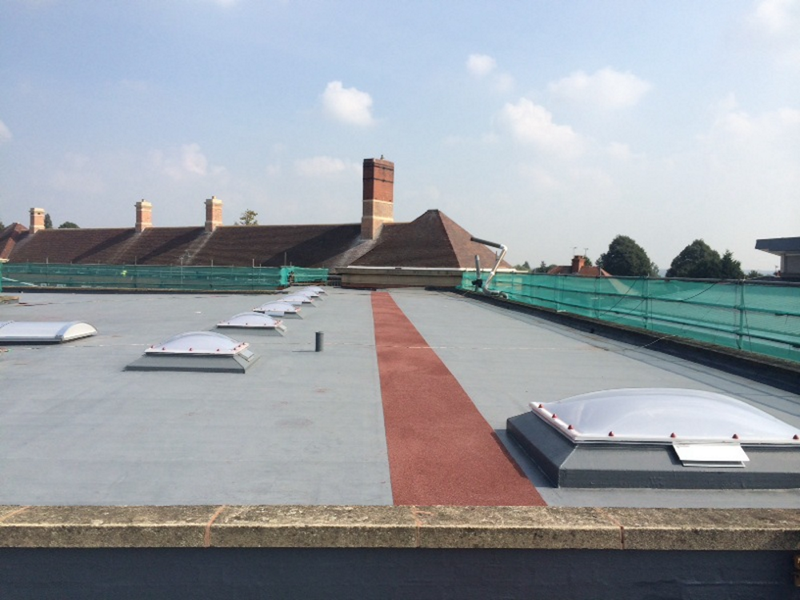 This large college based in Nottinghamshire was carrying out a large refurbishment of the building with the roofs being a large part of the project. The existing roofs were all flat and had been covered with a small amount of insulation with a 3 layer mineral felt capping. 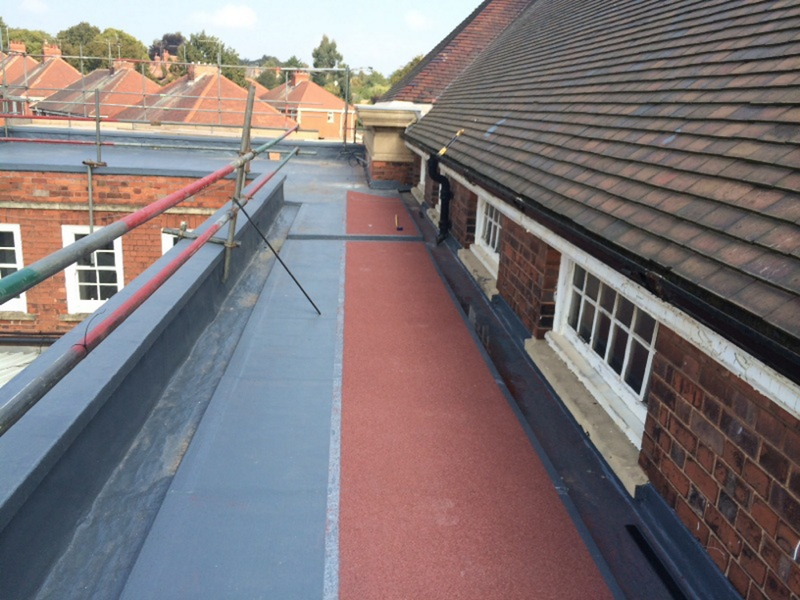 The college wanted a new watertight roofing system together with improved thermal properties. 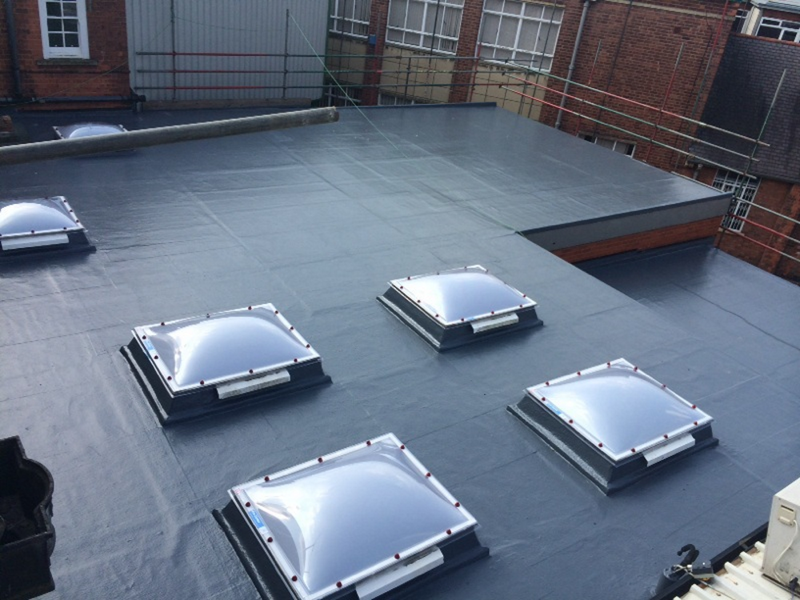 Surface Protection left the existing roof membrane in situ and installed a new cut to falls insulation upgrade with a SIkalastic 618 reinforced cold applied liquid roofing membrane. We also installed new rooflights and anti-slip walkways together with a Versirail handrail system.